Working replicas of the Nazis' storm rifle, widely considered to be the world's first assault rifle, are now being produced in the U.S.
"It's been a surprise hit with us," said Mac Steil, co-owner of Hill & Mac Gunworks in Georgia, which has taken orders for 2,000 rifles since the product launch in January. "We sold more rifles the first day than we thought we'd sell all year." Hill & Mac Gunworks, a startup in the Atlanta suburb of Alpharetta, is reproducing the STG 44 Sturmgewehr, which was developed for German soldiers in World War II. The German word "sturm" means to storm, or assault, and "gewehr" means rifle. 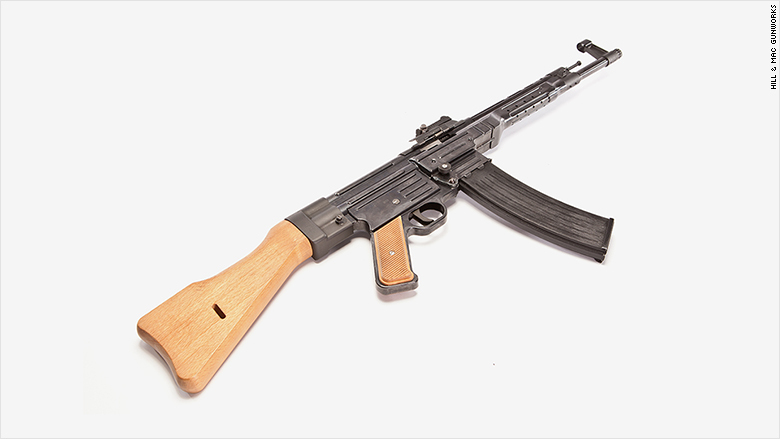 "This German STG 44 is where the name 'assault rifle' originated and it's the first one to be widely used," said Jim Supica, director of the NRA Museum in Fairfax, Virginia, which has an original Sturmgewehr in its collection. "The Sturmgewehr 44 was the predecessor of true modern assault rifles such as the Soviet AK-47 and the American M-16." The original Sturmgewehrs are valued by gun enthusiasts and history buffs, selling for tens of thousands of dollars. Hill & Mac is selling its reproductions for $1,799. Steil co-founded Hill & Mac in 2012 as a manufacturer of steel targets. The Sturmgewehr is its first gun. Steil said that he wanted to produce something unusual. "The market is flooded right now with the same kind of products," he said. "Everybody makes an AR-15; everybody makes a polymer frame pistol." Hill & Mac Gunworks of Georgia is making working replicas of the Sturmgewehr, the world's first assault rifle, invented by the Nazis. Steil said his company has fewer than 10 employees and has manufactured just 40 of the rifles so far. They're testing them before shipping begins. Steil admires the gun's anachronistic style, which he described as "art deco Bauhaus," making it recognizable to players of World War II video games like "Call of Duty." The Sturmgewehr was an innovative break-through combining the best features of the infantry rifle and the submachine gun. But its development was suppressed by Hitler, a World War I veteran with a more traditional view towards small arms. By the time Hitler realized the Sturmgewehr's potential, the Nazis were on an irreversible course to lose the war. The original Sturmgewehr had two settings: semi-automatic and full auto. Most of the guns made by Hill & Mac just have the semi-automatic setting for civilian customers. But Steil said they also make full auto versions for gun ranges, like Battlefield Vegas, where tourists can fire a variety of military guns including vintage Sturmgewehrs, also known as MP-44s. Ron Cheney of Battlefield Vegas in Las Vegas said he ordered a new Sturmgewehr from Hill & Mac which he expects to receive in August. "Until then, we are still using our original MP-44s but sadly, they aren't holding up very well," said Cheney in an email. 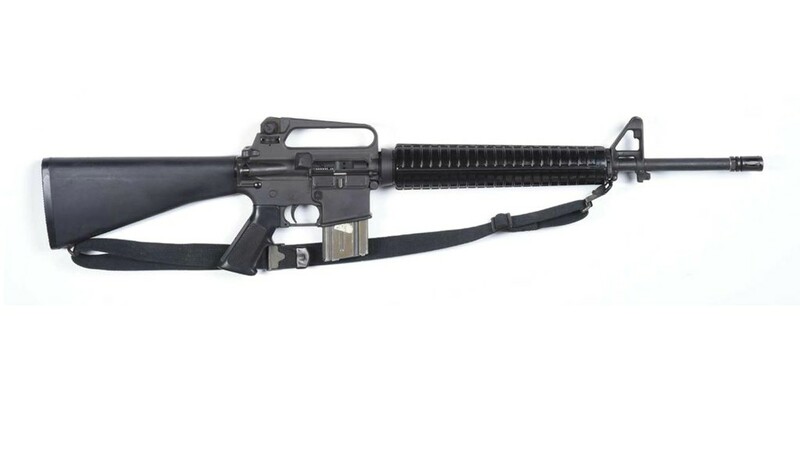 "So many guests want to the shoot the 'world's first assault rifle' but new replacement parts are just so hard to find since the weapon hasn't been made since 1945." The original Sturmgewehr used a 30-round magazine, which is high capacity and illegal in states like New York, Connecticut and Massachusetts. Steil said the new Sturmgewehr can be used with smaller 10-round magazines that are legal in the more restrictive states, as well as larger 50-round magazines. The new guns use the same ammunition as AR-15s and AK-47s. Assault rifles are controversial because of their use in mass shootings, like earlier this month at the Pulse nightclub in Orlando, where 49 people were murdered. The specter of more gun control and fear for personal safety have driven sales for assault rifles and other guns. "The timing is likely ideal" to launch a product like the Sturmgewehr because "this year has been most active in over a decade as far as new product launches coming to market in the firearms industry," said Rommel Dionisio, analyst with Wunderlich Securities. "With firearms demand year-to-date spiking so dramatically after the series of ISIS-related attacks that began last fall, new and existing firearms models are selling briskly indeed."